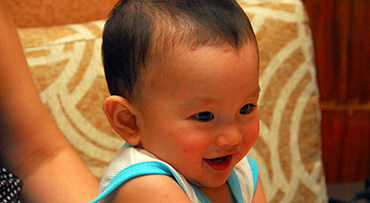 Our infant care program is designed to work with your little one’s individual needs, adapting to their unique physical and developmental stages. Everything becomes a lot more interesting as they take to their feet. Toddlers learn to walk and talk. They also begin to develop relationships with each other. As they want to learn and do everything, Greatstart will be there to guide them every step of the way. Greatstart is there to guide little Miss and Mister Independent to enhance their language and socialization skills. This is achieved by incorporating children’s literature, music, movement activities, arts and crafts. As their world opens up in new ways as they improve their coordination, learn complex games, and begin to interact more with others. They love to ask questions such as where things come from and how they work. Greatstart will be there to guide them in discovering the answers to their “complex” questions. Prekindergarten is a critical time for children as they begin the adventure of a lifetime of learning. Everyday your child is learning and doing more, and are extremely inquisitive at this age. And that is why our Greatstart Pre-K program is designed to challenge more. They are given many opportunities to engage in the exciting process of learning through exploration and hands on activities. As their love for asking questions grow more, how things work, and finding out about where things come from, Greatstart is there to enhance and strenghthen these emerging curiosity. Our Kindergarten program came about due to the increasing need to provide a full-time learning environment as local public kindergarten started cutting funding and are only offering AM programs. We understand that families' need a safe, supervised environment well into the elementary school years. Your little grown-up continues to need that academic and social structure when they are not in school. Field trips, carnivals, special events, and club activities keeps children active through creative learning and awesome fun activities. Greatstart's Fun in the Sun Sumer Camp is the perfect combination of skill-building and summer fun. Our caregivers know all about helping your infant build the necessary skills needed to take advantage of the new world unfolding around them. The infant room provides a safe and pleasant environment for those young minds to get highly stimulated. Caregivers have prepared lesson plans such as playing, singing and many more age appropriate activities. 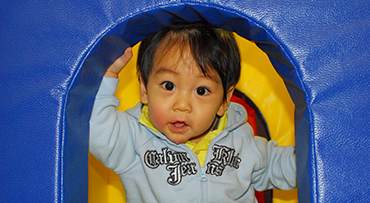 These activities are specific for each child’s developmental level and stage they go through. Activities for social, emotional and developmental growth are part of the daily routine. The children’s needs are met on demand, and have personalized daily schedules to meet their own needs along with their families. Each child has a personalized crib where they can feel comfortable taking their naps. Since each infant does not sleep or eat at the same time, our caregivers will work with each child on a schedule that is best for each child and most convenient to your family’s needs at home and school.